I'm definitely guilty of claiming that every post is my "favorite look" but this time I really mean it (well...one of my favorite looks). When I got this jumpsuit from Vici Collection I thought it could either be a hit or miss. Either I would wear it all summer or I would run to the post office as soon as I could to return it. When I took it out of the packaging I still wasn't sure (but hey, for the price it was worth the risk). Once I tried it on I was obsessed. I will say the jumpsuit has two design elements that save it from being the ultimate man repeller piece. For one, the cropped pants make the flare actually flattering. The other design element- the cut outs on the waist- make the jumpsuit relatively slimming. Pair it with a delicate heel and you are good to go! 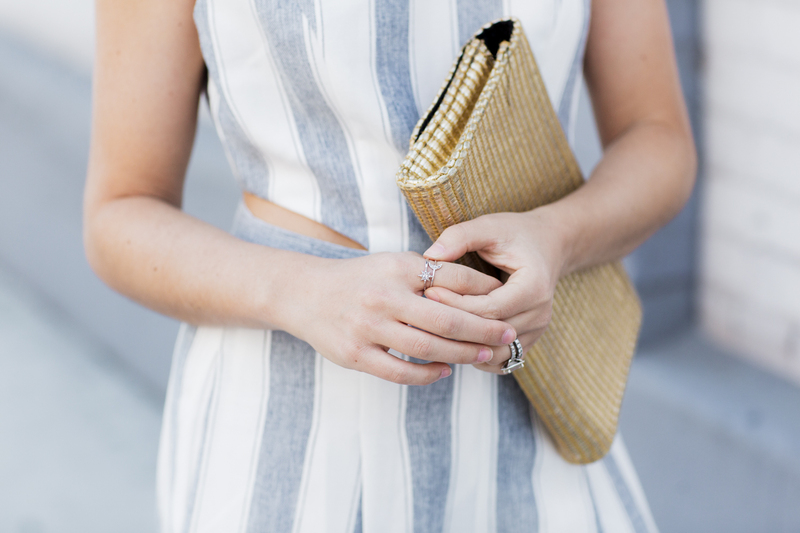 I decided to style the jumpsuit with my favorite Anzie rings. If you aren't familiar with Anzie jewelry, I highly suggest checking them out. The line was started by Anzie and is now run by Anzie and her two daughters. It's been one of my favorite jewelry brands forever- and not just because the line was started in Montreal ;). 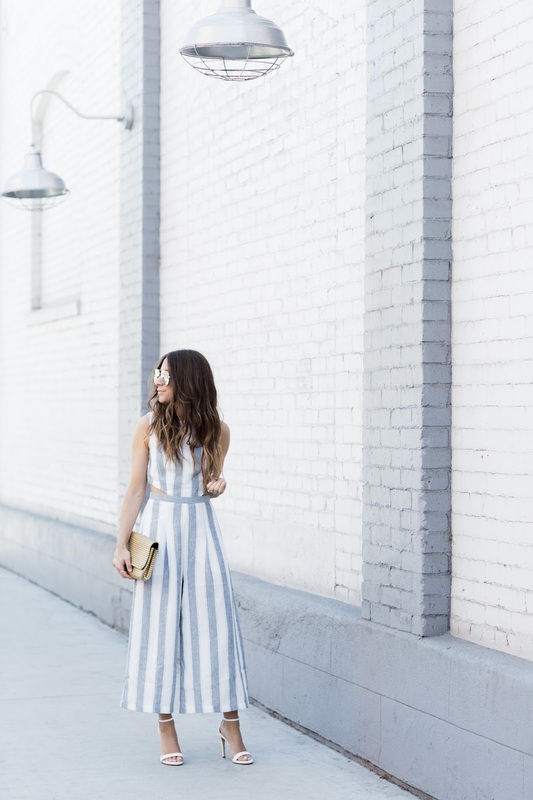 The pieces are original and timeless, and can be dressed up for a fancy event or styled for a casual/fun look, like in this post. Here are a few of my other favorite pieces: the Aztec Starburst ring, the Starburst bracelet (how gorgeous is it?? ), and the Dew Drop bracelet. I heard they are having an online sale very soon so stay tuned!